Another season has come and gone for the EBPL. 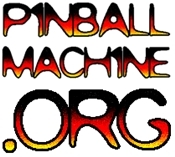 EBPL is a pinball league based out of Phoenix Games in Concord. There’s a great mix of people, pinball, and competition. What adds to the truly special nature of the league is the strong support by the venue. In fact, new pins were just added to the line-up. 8 games are available for play at all times in the front room. League members get an additional five to play in the backroom. The competition was fast and furious with a cut-throat single elimination format. There were around 23 competitors total. League performance during the regular season determines byes and first choice of play or order. Coming into this melee I was therefore at a significant disadvantage. Having only made around 8 league nights, I was ranked in the 20s, and all of my competitors got to pick their franchise games against me in the first round of our play. Justin showed just how enthusiastic players get when competing. However, he seems to get especially enthusiastic in this regard when it comes to Elvira: Scared Stiff. League founder and main honcho, Kevin kept track of all the action. Players who were knocked out early quickly regrouped into Tommy Dollars games on a fantastic-playing Theater of Magic with purple flippers and LEDs. Jim Vierra took top honors for the evening. I played solid and did well as an underdog going into each competitive round at a disadvantage. I had two breakout games. On Scared Stiff I got the Wizard Mode and put up a solid 120M on a tough Addams Family which had high scores in the 250M range (I’ll get those pretty soon :-). My toughest loss? Losing by a mere 5000 points on Black Knight 2000. Congrats to Jim for taking top honors and to everyone for coming out and competing. Extra super double thanks to Phoenix Games for the great games and hospitality. To view the complete results bracket, click here.